Visibly younger skin in just seven days? How could that possibly be? So it was with some trepidation that I began testing Lancôme Génifique Youth Activating Concentrate. Well, imagine my shock and surprise when after only two days, my skin already looked younger, firmer and smoother. My wrinkles began to disappear, my furrowed brow became unfurrowed, and my smile lines were virtually nonexistent. "It must be a trick of the mind," I told myself ... but as the days went on, my skin kept looking younger and younger! I've now been using Génifique for close to three weeks and can only say my skin looks at least five years younger. I use one dropperful each in the morning and evening, before applying moisturizer, and it's the best thing I could ever have done for my skin. I will definitely not be going without Génifique ever again! Lancôme Génifique Youth Activating Concentrate retails for $104 at sephora.com. This is great news! 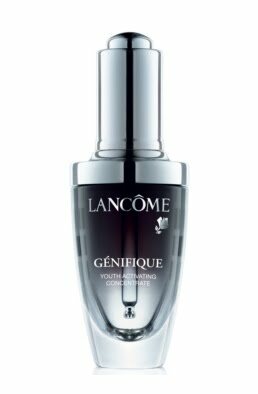 I've been eye-balling this for weeks every time I pass the Lancome counter...after reading your reviews, guess where I will be first thing tomorrow morning?! I can't wait to start using!